News Sharepoint Server 2010, MS SQL Server 2008 R2 and Windows Server 2008 R2 Better Together. The opinions expressed herein are my personal opinions and does not represent the opinions of my employer. mike's Blog (mr. NICE guy) "Talent, Ambition and Work Ethics ~ my way of being a SharePoint Mutt"
In this post I'm going to demonstrate how to retrieve Sharepoint data and display it on a Windows Forms Application. 1. 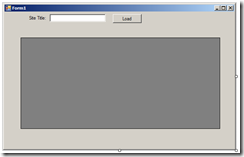 Open Visual Studio 2010 and create a new Project. 2. 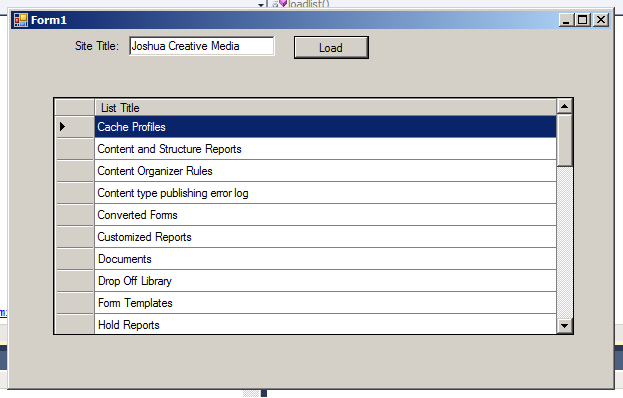 In the project template select Windows Forms Application. 3. 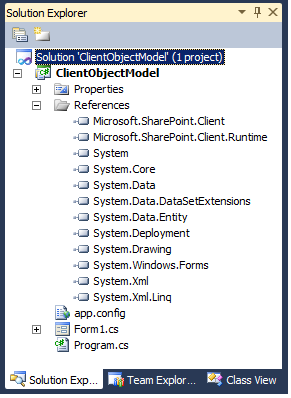 In order to communicate with Sharepoint from a Windows Forms Application we need to add the 2 Sharepoint Client DLL located in c:\Program Files\Common Files\Microsoft Shared\Web Server Extensions\14\ISAPI. 5. 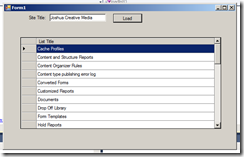 Open the Form1 in design view and from the Toolbox menu Add a Button, TextBox, Label and DataGridView on the form. 7. That’s it. Hit F5 to run the application then click the Load Button. Your screen should like the one below. is that JAVA ORACLE app ? and for what perpos we can you that ? 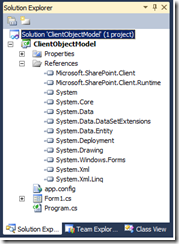 This article provides an excellent and detailed step by step tutorial on how to do this using Linq and Web services. 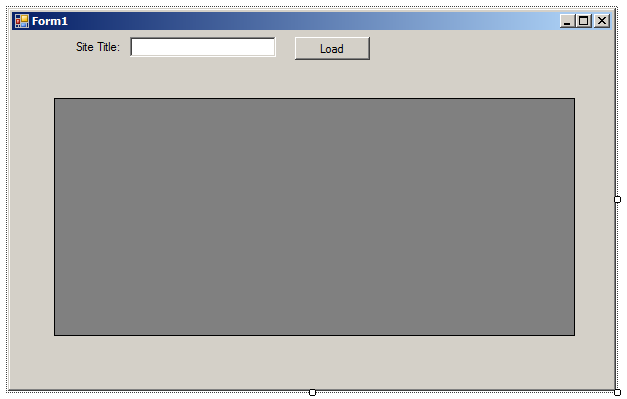 It does create a console application instead of a Windows application but it is very easy to translate this into a Windows Form app if needed. I tried adapting open-source code forum this project, but ended up way beyond my depth. You can use it for reference purposes, I'm sure it'll help you. What do I need to do to connect to my SharePoint site?